Week nights can be rushed. Getting home from work, making supper, and then whatever other plans, running around, and preparation needs to be done before bedtime! Slow cookers are a great way to cut down on meal preparation during the week. Coming home to a healthy meal will make your entire household happy! In a small skillet, cook onion, garlic, and ginger in olive oil until soft and fragrant. 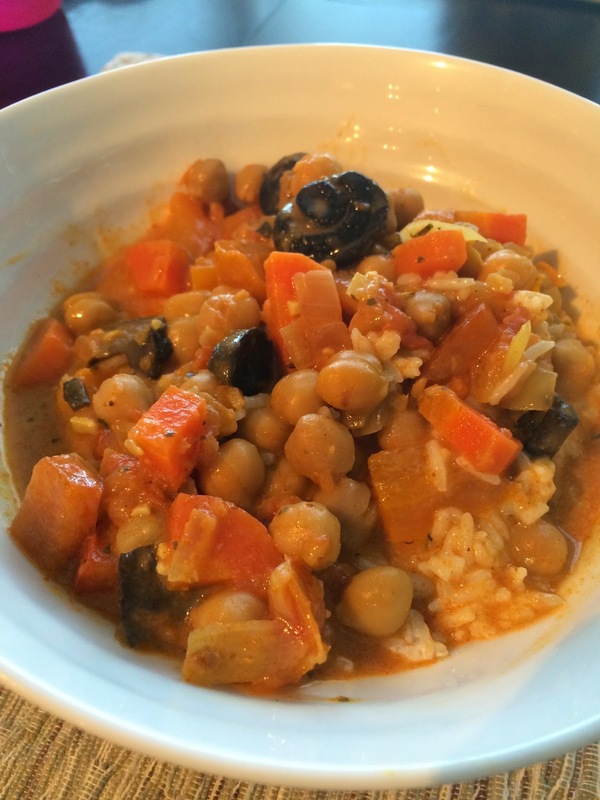 Place in slow cooker with the remaining ingredients, except coconut milk and tikka masala. Cook on low for 6-8 hours. Stir in coconut milk. Stir in tikka masala to taste. Flavour will depend on concentration of masala (paste or cooking sauce). Serve with rice, if desired.